While watching the Toronto Maple Leafs’ games against the Tampa Bay Lightning, Chicago Blackhawks, Philadelphia Flyers and Ottawa Senators I realized one thing — they are definitely not ready to contend for the Stanley Cup. The way the Maple Leafs played had me thinking of earlier years playing the game. One particular coach spoke often about the Hockey 201’s. He was referring to the fundamentals of the game: 1) Skating, 2) Passing, 3) Checking, 4) Stickhandling and 5) Shooting. The playoffs are less than a dozen games away. In order to improve their chances of winning a round or two, Maple Leafs’ management, coaches and players, at a minimum, must assess three of the five fundamentals of the game: skating, passing and checking. The Maple Leafs are not skating effectively. In order to win games and be successful, they must. It goes beyond using this fundamental skill in a speed game. They must skate to be first on every loose puck, and when they get there, they must be tough on the puck. In the four games played by the Maple Leafs last week, they did not do well executing this fundamental of the game. They missed assignments in the corners and along the side boards, in and around the faceoff circles. It happened in both the defensive and offensive zones. A breakdown occurred less than three minutes into the game against the Lightning. A Frederik Andersen blocker-save was directed to the side boards. John Tavares of the Maple Leafs and Steven Stamkos of the Lightning were the two players closest to the puck when it landed. Whether Tavares was content to let Stamkos be first to the puck or if it was his slight hesitation that allowed Stamkos to do so is really quite irrelevant. What is relevant, Tavares wasn’t first on the puck and there was no fight once he got to it. 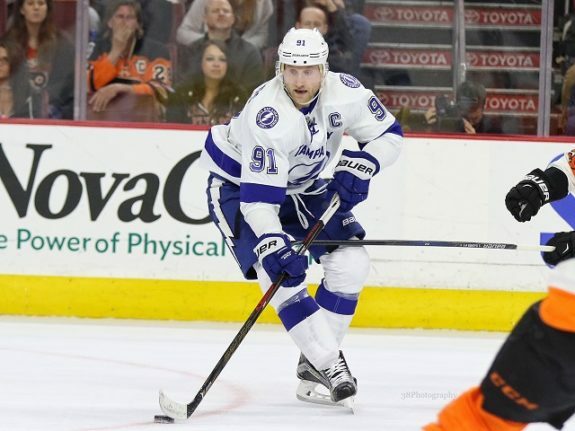 Stamkos got it cleanly, changed direction by putting on the brakes, completed a pass to the middle of the ice while taking a little tap on the shin pads from Tavares. A good scoring opportunity resulted. It’s not so much that the Maple Leafs players are out of position. It’s being slow to move their feet to have a first-mover advantage, especially when it becomes a battle situation. It doesn’t matter if it is a defenseman, a center or a winger, whoever is closet must be on the puck before the other team’s guy. Against the Senators, William Nylander took a drop pass from Auston Matthews and fanned on the shot attempt. Nylander got back quickly to help Justin Holl manage two-on-two coverage. Garret Sparks made the initial save. Trailing the play was the Senators’ Oscar Lindberg, and within a stick length behind him coasted in Matthews and a tired Ron Hainsey. Lindberg scored on the rebound. A pass should be made when it can be made tape-to-tape. A bad pass in the defensive zone often results in extended periods of puck possession by the other team. It causes fatigue and the cumulative effect is not good, especially for the Maple Leafs in their need to support Andersen. In the first period of the game against the Lightning, Matthews beats Brayden Point to a loose puck. Feeling the heat of Point and another Lightning player as they approached, Matthews dished off a blind backhanded pass to Jake Muzzin, standing barely three feet away. Understandably, Muzzin missed the pass. Nikita Kucherov picked up the puck and passed it to Tyler Johnson, who scored. 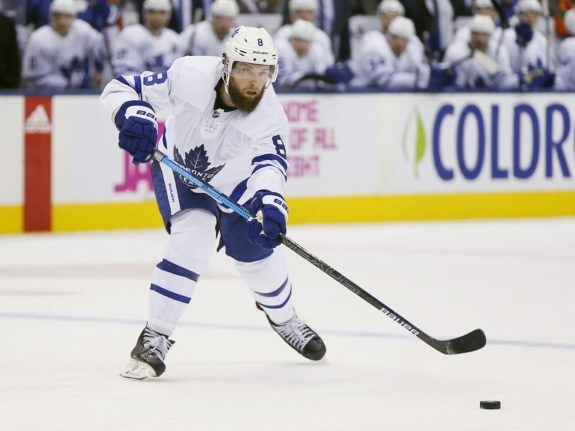 With how players skate today, and with the breakout structure and systems used, an incomplete pass in the offensive zone can be costly, too, especially when the Maple Leafs skating doesn’t shift from offense to defense in the fraction of a second that it needs to happen. When it doesn’t, they’re chasing the puck. In the game against the Blackhawks, Muzzin had the puck in an offensive corner. He made a pass attempt to the front of the goal crease; maybe it was an attempt to direct a puck to the net. Regardless of which, he didn’t make the play. It hit the shin pad of a Blackhawks defender and ricocheted towards the blue line. It became a two-on-two going towards the Maple Leafs net. Unfortunately, Tyler Ennis chose to leave his man to try and intercept a pass. Alex DeBrincat took it on the tape and scored. In the Senators game, with 75 seconds left in the period, Tavares had the puck inside the Maple Leafs blue line. The Senators’ Chris Tierney was on him and reached for the puck. Tavares chose to lob a rink-wide pass across to Mitch Marner. It was intercepted at the Senators blue line, sent up the boards and ended up behind Sparks. The best pass option may be to do nothing rather than doing something that has a low probability of success. It may require eating the puck and taking a hit. Physicality is this millennium’s word for checking. Physicality is more of a skill than talent. Yes, some inherently possess the desire to check and be physical, but it is a skill that can be learned. It is necessary to be tough on the puck. It is necessary to dish out the fundamental element of physicality. A case in point occurred in the last 90 seconds of the first period against Tampa Bay. Alex Killorn crossed the Maple Leafs blue line and moved to a spot along the side boards. Nazem Kadri used his stick to check Killorn. Kadri’s stick was nearly caught-up in Killorn’s jersey. Kadri sensed a hooking call so he eased off his check. He should have moved forward and pinned Killorn against the boards. Alternatively, Conner Brown could have. He left his position covering defenseman Mikhail Sergachev to help out Kadri, but for some reason, he slowed down and stopped short. Killorn dished off a pass to the unguarded Sergachev, who took a shot at the net. Anthony Cirelli redirected it past Andersen. An interesting thing about physicality is that it breaks the golden rule of doing unto others as you would have them do unto you. Dishing it out effectively reduces the number of times a player is on the receiving end. It gives the doer more room to skate and make passes and gives the other team less room for both. There are many more examples of missed checks. It is tempting to fully disclose Nic Petan petitioning someone else to cover Brandon Saad when he saw the other four Maple Leafs players on the ice already preoccupied with covering Dylan Sikura in the corner. Sikura still made the pass to Saad, who shot and scored. 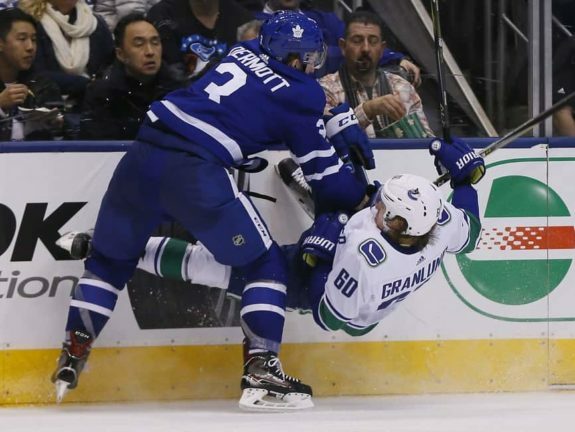 The Maple Leafs players must demonstrate a willingness to include a consistent element of physicality in their games. Sure, it is a sacrifice of the body but this is pro hockey. To be a perennial Stanley Cup contender, the Maple Leafs must execute the fundamentals of hockey consistently well, individually and collectively. Only then will they have a chance to compete for the hardest trophy to win in all of pro sports. In the meantime, there is a lot of room for improvement.